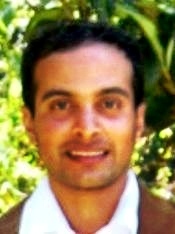 Navin is a management professional with extensive consulting and domain experience across several industries. Navin is an Advisory Council member for the Canadian Business Strategy Association. He has both North American and emerging markets Asian work experience having worked in USA, Canada and India. He defined an enterprise-wide multi-year Operations and internal IT strategy plan for a $22 Billion global IT services company, that led to advancements in its applications, infrastructure, business processes and productivity and also headed the Knowledge Management division of a global consulting firm.Navin has authored a case study on operations excellence and market penetration strategy that is published in the Harvard Business Review. His interests, include ultimate frisbee, golf, football (soccer), hiking, singing and healthy living.